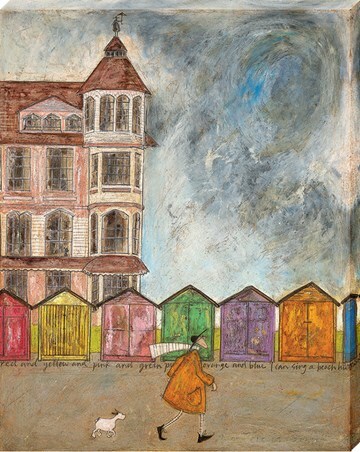 Walking briskly against the bitter seaside wind, Mr Mustard and little Doris enjoy the array of beach huts, counting the colours as they go in this charming canvas print. 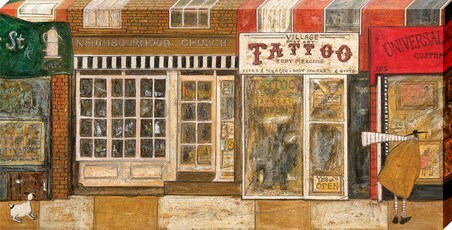 With grey clouds looming, the pair brighten their spirits with a sing song along the promenade and take the weather in their stride. 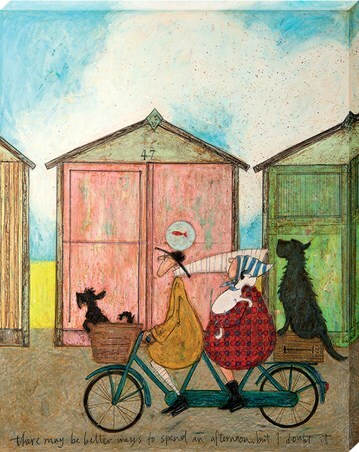 Happily trotting along behind her beloved owner, dinky Doris has become fond of Mr Mustards made up tunes and mutterings as he marches on in front, scarf blowing in the refreshing sea air. 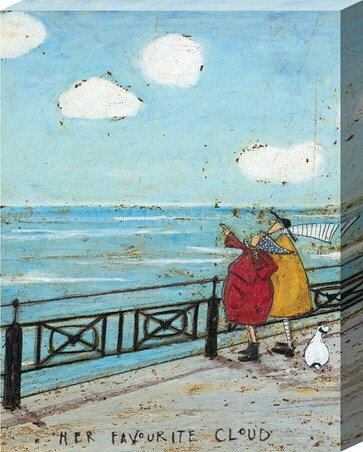 This charming print by Sam Toft is perfect for any beach lover. 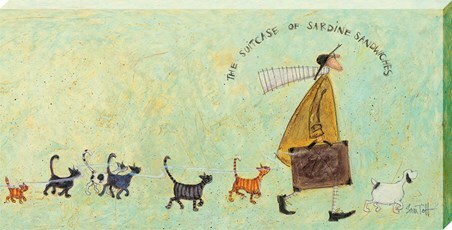 High quality, framed I Can Sing A Beach Hunt, Sam Toft canvas print with a bespoke frame by our custom framing service.